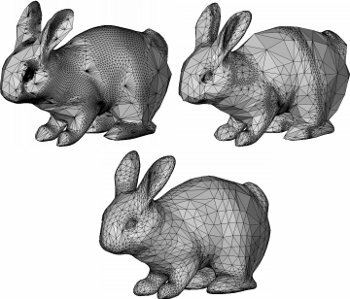 Mesh refinement techniques such as progressive meshes or subdivision schemes are used to generate higher resolution meshes starting from a coarse model. Higher resolution meshes usually reduce visual artifacts that are inherent to polygonal rendering. However, as the model gets smoother the number of triangles to be rendered increases significantly. The processing power available in current computer graphics hardware, on the other hand, limits the number of refinement steps possible if interactive or real-time frame rates are required. To push these limits further adaptive subdivision algorithms are used. Adaptive methods refine models only in places where this is actually needed, i.e., where the most severe triangulation artifacts occur. This paper generalizes adaptive subdivision algorithms by introducing an application-dependent Degree of Interest function. Therefore, geometry-related as well as geometry-independent properties can be integrated to control the subdivision algorithm in a uniform framework. We demonstrate how three different applications benefit from this notion.